Tremors in Nepal and New Zealand help scientists to predict how a magnitude-7.0 quake would affect the California city. The earthquake begins at 4:18 p.m. as a violent shudder, and rips along the Hayward Fault east of San Francisco, California. By the time the magnitude-7 event is over, buildings and roads throughout the region have collapsed, water pipes have shattered and fires rage. Eight hundred people are dead, tens of thousands have become homeless, and many who are still in their homes will go without running water for weeks to months. Fortunately, this is only a hypothetical scenario — for now. The US Geological Survey (USGS) devised it to think through how emergency officials, city managers and the public might respond to a big earthquake that could plausibly strike the region. The scenario, released on 18 April, draws on lessons that scientists have learned from a spate of recent natural disasters. It's the most detailed simulation yet of how an urban area might fare after a quake1. Notably, the exercise explores how businesses, such as those in nearby Silicon Valley, can make themselves more resilient in the face of disaster. The USGS calls the scenario HayWired because a Hayward quake could disrupt Internet connectivity in the Bay Area. “This is a scientifically defensible story of the type of thing you should be getting ready for,” says Lucy Jones, a former USGS seismologist who now heads the Dr. Lucy Jones Center for Science and Society in Burbank, California. HayWired follows a similar exercise in southern California a decade ago. Spearheaded by Jones, the ‘ShakeOut’ scenario envisioned a magnitude-7.8 quake hitting the Los Angeles area. It was the first attempt to marry California’s known seismic risk with a detailed scenario that brought the danger home. “For years we had been talking about the Big One, but we weren’t really being specific about what we had in mind,” says Kenneth Hudnut, a geologist with the USGS in Pasadena, California, and a leader of the HayWired exercise. The USGS chose the Hayward fault this time because it has a 33% probability of experiencing a quake of magnitude 6.7 or greater in the next 25 years — the highest in the San Francisco Bay Area. Palaeoseismic studies show that the last nine earthquakes of this size on the Hayward have happened at roughly 150-year intervals. The most recent was a magnitude-6.8 tremor in October 1868, 150 years ago. Today the fault runs through homes, transportation lines and the University of California’s Berkeley campus. Many buildings have been retrofitted to withstand strong shaking — but many have not. An earthquake hasn't significantly damaged the Bay Area since 1989, when the magnitude-6.9 Loma Prieta quake struck on the San Andreas Fault south of San Francisco. It killed 63 people and caused billions of dollars in destruction. HayWired draws lessons from recent quakes around the world. A magnitude-7.8 quake in Gorkha, Nepal, in 2015 triggered at least 25,000 landslides in steep terrain2, so HayWired includes the possibility of landslides in the hills east of the bay. Then there is a magnitude-6 quake that struck just north of San Francisco in 2014, in the southern Napa Valley. The initial tremor caused part of a geological fault to slide by less than 10 centimetres — but over the following year, the ground slowly crept by at least another 30 centimetres3. The HayWired scenario acknowledges that residents and business owners might delay building repairs for months to keep new construction from being damaged, which would prolong the post-quake economic slump. And the 2010–11 sequence of quakes near Christchurch, New Zealand, underscored the threat posed by aftershocks4. The deadliest quake in the series was a magnitude-6.2 event that happened 5 months after the biggest shock, but killed 185 people because it struck near the city centre at lunchtime on a workday. The quakes “really emphasized to us how an earthquake is not just a one-off event to plan for and respond to”, says Sally Potter, a hazard and risk management researcher at GNS Science in Wellington, New Zealand. Because of the Christchurch experience, the HayWired exercise simulates how two years of aftershocks would affect the Bay Area. “In some cases, the shaking is stronger from the aftershock than from the main shock,” says Anne Wein, an operations research analyst with the USGS in Menlo Park, California and a leader of the HayWired project. HayWired focuses on getting businesses back up and operating. The scenario suggests that one in four buildings in the region will be uninhabitable for months after a large quake — but that people are willing to pay more to meet stricter building regulations to keep structures functional. 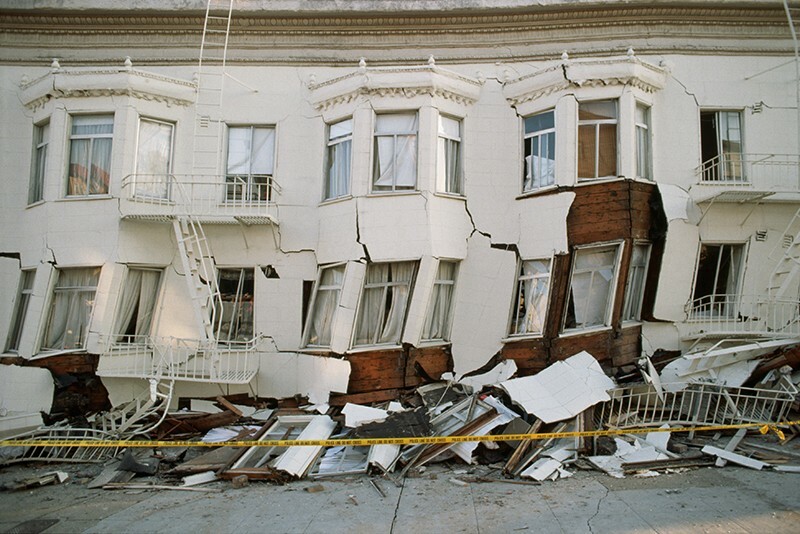 California’s state assembly is currently considering seismic-safety legislation that would require buildings to be safe to use immediately after a quake. Detweiler, S. T. & Wein, A. M. (eds) USGS Scientific Investigations Report 2017-5013-A-H (2017). Roback, K. et al. Geomorphology 301, 121-138 (2018). Lienkaemper, J. J., DeLong, S. B., Domrose, C. J. & Rosa, C. M. Seismol. Res. Lett. 87, 609-619 (2016). Potter, S. H., Becker, J. S., Johnston, D. M. & Rossiter, K. P. Int. J. Disaster Risk Reduction 14, 6-14 (2015).